Stay up to date on Georgia Landlord Tenant Laws + Save money on tenant screening and other property management needs. Join AAOA today, it’s FREE! 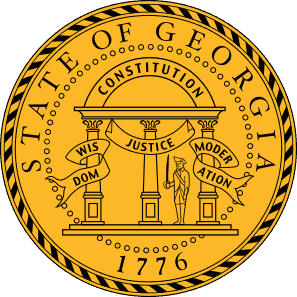 Georgia Code 44-7-20 provides that property owners supply tenants with written notice if a rental property is prone to flooding. The statute requires that, “prior to entering a written agreement for the leasehold of that property, the owner shall, either directly or through an agent, notify the prospective tenant in writing of the property’s propensity of flooding if flooding has damaged any portion of the living space covered by the lease or attachments thereto…” An owner is legally liable for failure to provide flood notice to tenants in advance of the beginning of the tenancy. (3) “Security deposit” means money or any other form of security given after July 1, 1976, by a tenant to a landlord which shall be held by the landlord on behalf of a tenant by virtue of a residential rental agreement and shall include, but not be limited to, damage deposits, advance rent deposits, and pet deposits. Such term shall not include nonrefundable fees, or money or other consideration which are not to be returned to the tenant under the terms of the residential rental agreement or which were to be applied toward the payment of rent or reimbursement of services or utilities provided to the tenant. Georgia Landlord Tenant Law, under 44-7-34 requires that a security deposit be returned to the tenant upon termination of the tenancy, except for any damages caused by the tenant. This is another reason why it is crucial to obtain the security deposit form when you purchase your Georgia Landlord forms as well as the Move in/Move out Checklist and the Notice of Right to Inspection Prior to Termination of Tenancy Forms. All these forms protect the landlord regarding security deposits under Georgia Landlord Tenant Laws. The laws regarding security deposits also protect tenants. While a landlord has a right to retain part or all of the security deposit upon termination of tenancy, a tenant may have cause to object to withholding of any portion of the security deposit. This is provided for under 44-7-33(C), specifically “A tenant who disputes the accuracy of the final damage list given pursuant to subsection (b) of this Code section may bring an action in any court of competent jurisdiction in this state to recover the portion of the security deposit which the tenant believes to be wrongfully withheld for damages to the premises. The tenant’s claims shall be limited to those items to which the tenant specifically dissented in accordance with this Code section.” When you execute proper forms at the beginning and throughout the tenancy, there is less likelihood of a cause for action arising regarding security deposits. Georgia Landlord Tenant Laws provides that a landlord must “keep the premises in repair. He shall be liable for all substantial improvements placed upon the premises by his consent,” as set forth in 44-7-13. If the landlord fails to make repairs, the tenant can bring an action against the landlord for the landlord’s failure to make repairs to the premises. A tenant has the responsibility to pay rent on time and keep the property in good order as well as to surrender the premises at the end of the lease term under Article 3. Landlords cannot disconnect utilities or take other action outside the courts in the event that a tenant fails to pay rent. If a landlord files a claim under Dispossessory Proceedings, the tenant may file an answer and present any evidence to dispute the claim. If, however, a landlord accepts late rent, the landlord cannot pursue an action under Article 3. The service member can also terminate the lease if the service member becomes eligible for government housing or receives a change of orders. None of the information contained herein is a substitute for legal advice. Consult an attorney if you have questions regarding Georgia Landlord Tenant Laws. A key component of landlord tenant laws is also Georgia Tenant Screening Background Checks. We’ve dedicated an entire page to it because of its importance. Visit Georgia Tenant Screening Background Checks to screen your tenant. All states require a variety of forms to rent an apartment to a tenant and Georgia is no exception. Check out American Apartment Owners Association’s Georgia Landlord Forms now.